We are pleased to announce that we will be moving to a new location for all of our meetings. Beginning November 12, 2018, we will be meeting at the south location of the Salvation Army, 701 W. Jolly Rd, Lansing. Same time, same great speakers, and same critical mission! Thank you to the Salvation Army for their hospitality. Please consider joining us on Monday's at noon (club does not meet on the 1st, or 5th Mondays of each month, and some holidays). Prospective new members can attend up to 3 Exchange Club meetings at no charge. It's never too early to remember that the holidays are just around the corner and it's time to order your Thanksgiving and Christmas hams and turkeys. All proceeds help support Child and Family Charities in their work to prevent child abuse. For more information click 2018 Turkey and Ham Sales. 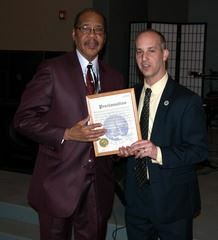 Our Annual Awards Celebration was held on Tuesday, April 24th, at Kingdom Ministries in Lansing. Almost 150 guests gathered to celebrate the work of the Club and to recognize those in our community who help support family, country, community, and the prevention of child abuse. 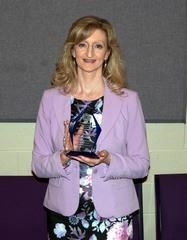 Child Advocate of the Year - Michelle Nicholson, Executive Director, Early Childhood Services, Ingham Intermediate School District. 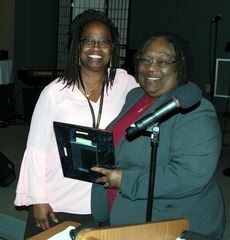 Book of Golden Deeds - Joan Jackson Johnson, Ph.D. Accepting the Challenge of Excellence - Students who graduated despite great challenges. Cody Dexter, Holt High School and Emma DeRogatis-Frilingos, East Lansing High School. 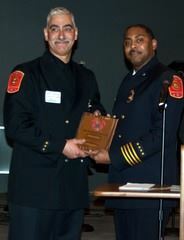 Fire Fighter of the Year - Engineer Krishna Singh, Lansing Fire Department. 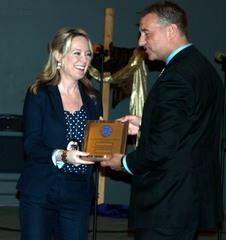 Law Enforcement Officer of the Year - Detective Shannon Thielen, Lansing Police Department. Welcome! 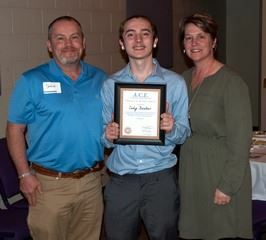 Thank you for taking the time to visit the Exchange Club of Greater Lansing, MI and the Exchange Youth Foundation, a separate 501(c)3 affiliate organization. 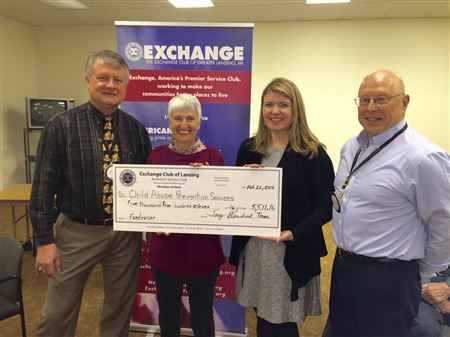 The Exchange Club of Greater Lansing was pleased to present a check for $5511.16 to Kathy Kelly, Child Abuse Prevention Network, and Julie Thomasma, Executive Director of Child and Family Charities. The check represented monies raised during our annual Thanksgiving and Christmas ham and turkey sales. The Club has conducted these sales for many years and are proud to support the work of Child and Family Charities. The Trust Fund serves as a voice for Michigan's children and families, and promotes their health, safety, and welfare by funding effective local programs and services that prevent child abuse and neglect. Learn more by visiting Children's Trust Fund. Learn more by viewing a CTF video by following this link: Children's Trust Fund Video.